On December 16, Pakistan marked the fourth anniversary of the Army Public School attack. On December 16, 2014, a number of gunmen from the Pakistani Taliban stormed a military-run school in Peshawar and killed around 150 students. A lot has changed in Pakistan during the last four years concerning the country’s challenge of militancy, but Islamabad has still a lot to do if the challenge of extremism is to be defeated in its entirety. If one reviews the gains and losses made during the last four years of state-led efforts to combat terrorism, one cannot deny that the country’s massive counterterrorism operations, particularly in the tribal areas, have borne fruit. According to data from the South Asia Terrorism Portal (SATP), 2018 has been one of the most peaceful years of the last decade in terms of militant attacks in Pakistan and resulting fatalities. The country’s National Action Plan (NAP) against extremists, which was devised after the 2014 school massacre, has significantly reduced violence in Pakistan. The Federally Administered Tribal Area (FATA), which before the implementation of the NAP was considered a lawless region, has not only come under the full control of the country’s military, but the region has also been formally merged into Khyber Pakhtunkhwa province. Moreover, normalcy has returned to Karachi, Pakistan largest city, which was once described as the epicenter of terrorism. A string of counterterrorism operations in Karachi has not only broken networks of various extremist groups, but also controlled sectarian and ethnic wars in the city. Similarly, the province of Punjab has also witnessed some gains made due to the military’s swift counterterrorism operations: the urban networks of militant groups that used to operate from the country’s cities have been targeted mercilessly. Overall, progress is reflected in the form of significantly reduced terror incidents in Pakistan, which are presented and packaged by the state as the result of sustained efforts to combat extremism. While the overall security situation has improved in the country, the state has hardly done anything to work on the challenge of growing extremism in the country. All efforts over the last four years have focused on taking on militant groups that have directly taken arms against the state. None of the groups behind the growing radicalism in Pakistan has been targeted systematically. One of the lessons of the last four years’ counterterrorism efforts is that there is a clear policy of taking on extremist armed groups with full force — especially those that target the state — while negotiation, accommodation, and mainstreaming take place with other radical voices and factions. 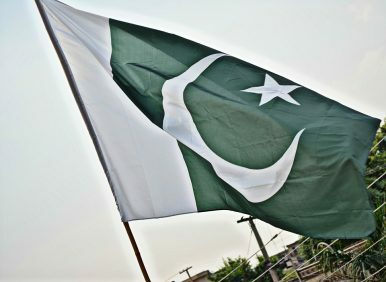 Recently, one of the far-right religious groups, the Tehreek-e-Labbaik Pakistan (TLP), was only isolated after it began openly inciting violence and encouraging rebellion against the state institutions. The TLP, like many other groups, was ignored by both the outgoing and the current government as long as it limited itself to preaching radical views of Islam and endorsing violent tactics. A number of other sectarian groups continue to function with freedom across the country. Moreover, the seminary reforms, one of the key elements of the NAP, have not even started, even after four years. The current government of the Pakistan Tehreek-e-Insaaf (PTI) plans to unveil a new version of the NAP, which is reportedly going to bridge the gaps in the first version. However, the politics of the ruling party in Pakistan doesn’t point toward a major change concerning the government’s efforts to comprehensively fight extremism in Pakistan. A few days ago, Pakistan’s Interior Minister Shehryar Khan Afridi was caught on camera assuring the leadership of a proscribed group of his party’s support at the state level. Moreover, the government does not appear to be making efforts to bring all civilian and military stakeholders together to address various key issues that facilitate the rise of extremism in Pakistan. Beyond fighting extremists that take up arms against the state, the deradicalization of Pakistani society is an area that will define the country’s long-term counterterrorism gains. As a result, Pakistan still has a long way to go before the country completely defeats extremism.